Let me remind you of those things that only you know about. Not even me, the one with the idea of this article don’t know what it might be all about. All I know is that from time to time a notification of this kind is more than welcomed. 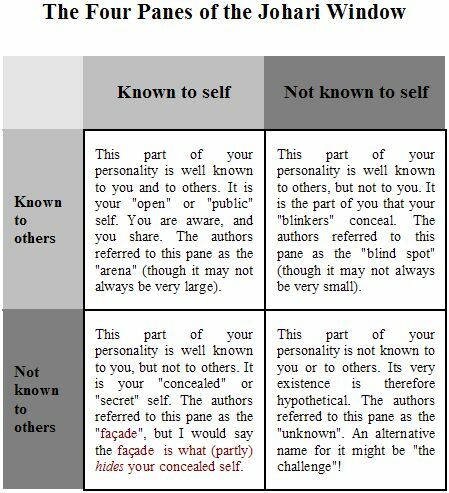 You might say that you apply the concept of Johari’s window to your own mind. Tough mission..I know. Maybe it is the most complex of them all, as one has to sort out many ideas and mind-crosswords. But, nevertheless.. the things known only by me describe what I cheerish (in my case speaking), what surprises me, what I think, and what i am. JoHari is the result of research conducted by Joseph Luft and Harry Ingham way back in the 1950’s. Outlined as a window (without curtains), but divided in 4 parts, this window reflects a special part of the world… one’s own mind. The sun and the sky (technically represented by the upper side of the window) are the Arena and the Blind Spot. Meanwhile, at the bottom level you can find the facade elements, and the flower pot that covers some information nobody knows about, not even oneself. 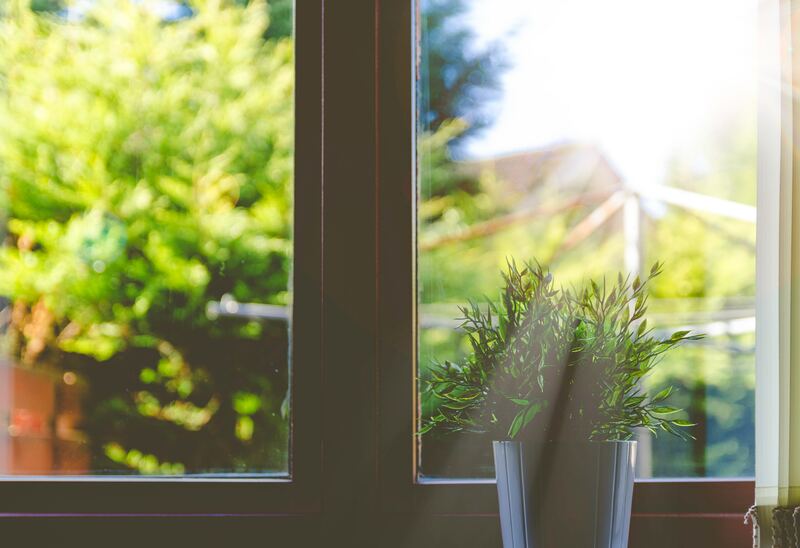 Opening this window every single morning, in order to refresh my mind, is something that brings me many benefits. In the end, the things that only I am aware of are the source of my wishes. There is my motivation to follow a specific path. There is my courage to take the first 5 steps outside my comfort zone. By the 6th step I already get familiarized with the rhythm… and I relax. Depending how proactive you want to be, somewhere by the 10th step you get back to those first courage related steps. So you get away from your comfort zone as many times as possible. There is that „je ne sais quoi” that inspire everyone, starting with oneself. They are my neverending source of daring ideas, that energize me only by the tought of it. And those I have already created, are my proof that it is all worth while, no matter what others think or say. I believe this is a good exercise to get to know yourself better. Just like any other action that supports us during the day to think clearly and in a simple manner.